I am hosting our Bread Baker's group this month and I invited the others to share their favorite Irish bread in honor of St. Patrick's Day. This is such a creative and talented group of bloggers that I knew there would be tons of new recipe ideas for our readers in plenty of time for the big event on Friday. To my knowledge, there is not a drop of Irish in my bloodline but I still celebrate St. Patrick's Day each year. I put on my green, I make corned beef and cabbage and I drink green beer. I also have been known to throw a dinner party or two. I found a recipe for Butterscotch Drop Scones at Epicurious.com that I adapted for today's event. 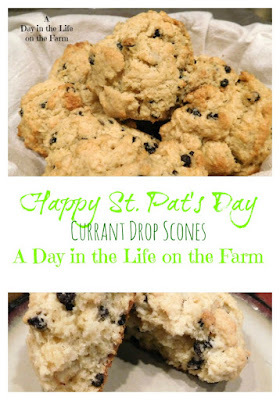 Scones are definitely perfect for celebrating St. Pat's Day but I didn't want the sweetness of butterscotch. I know that currants are also popular in Ireland so I decided to add them to the dough. I loved the fact that these are drop biscuits instead of the normal rolling and shaping of the dough. This recipe was not only easy and quick but the scones turned out absolutely perfect. Flaky and light with a beautiful crumb. 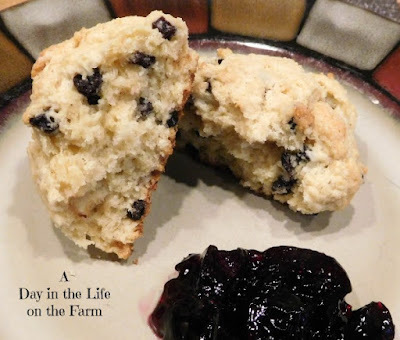 The currants added texture and a touch of sweetness to the scones. These were served as part of a brunch buffet but would work equally as well for dinner and they make great snacks during the week as well. 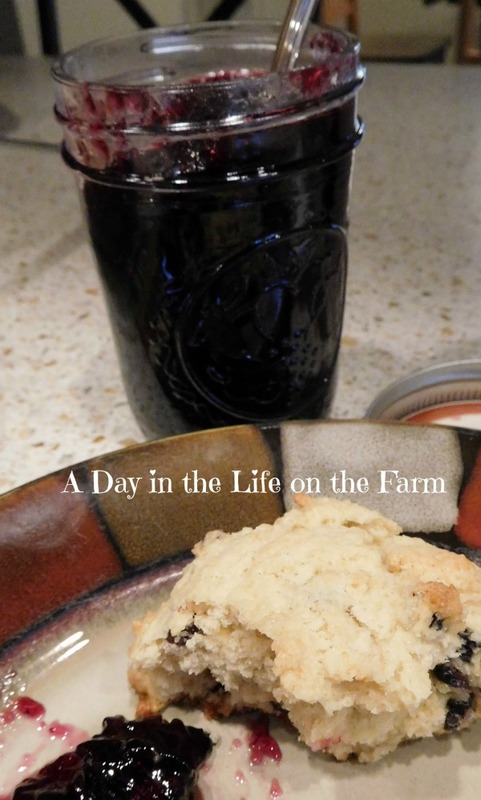 I slathered mine with a blueberry and lemon jam that our son, Anthony, had made and gifted to us. It was soooooooo good. You will be able to see what the others were inspired to create by scrolling past my recipe. I have my eye on a couple of these.....eeeny meeny miney moe....how will I ever decide? Luckily there is no rule that says I can only eat these great breads on St. Pat's Day. Sift together the flour, sugar, baking powder and salt in a medium bowl. Add the diced butter and rub in with your fingertips until a coarse meal is formed. Mix in the currants. Whisk together the half and half and egg in a 2 c. measuring cup. Pour a little at a time into the flour mixture, stirring after each addition with a fork, until the dough clumps together and is moist. Those scones look delicious. I always hunger for a scone when I am reading a book and they are mentioned!! They are really easy to make too, especially these drop scones. Beautiful scones Wendy! Would have loved some for breakfast this morning! Perfect for this month's theme. Thanks so much for hosting. Thanks Karen, they were very tasty. What a perfect Irish way to enjoy tea time-- on March 17th or any day of the year! Thank you for hosting this month. Thanks for joining in the fun Holly. I'm sure they will Sarah and how kind of you to share. Thanks for hosting, Wendy. I definitely prefer currants over raisins and love this recipe. Thanks for joining in the fun Anne. Thanks Namita. The jam is what made the dish. 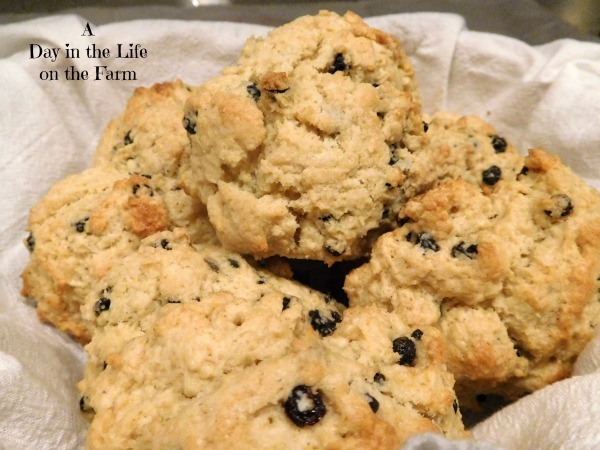 I love to have these delicious currant scones with a cup of tea.. perfect! Thanks Sneha, I would like to be sitting with you when you do. currant scones looks great ..... It must be great with bluberry jam. Especially blueberry jam made and gifted with love. lovely scones and would like to try the drop version. Thank you Wendy for the wonderful theme. Thank you, Mayuri, for joining us and for the kind words. Sadly, they are gone now but I baked up some muffins for #MuffinMonday so life is good. The scones looks AMAZING! And thanks for being such a wonderful host! They were amazing Smruti. Thanks for joining me. Such a flaky, buttery and delicious looking scones. Perfect St. Patrick's day treat indeed. 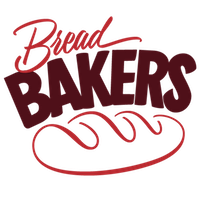 Thanks for hosting this month -- can't wait to try the amazing bakes by the bread bakers. So many great recipes this month.